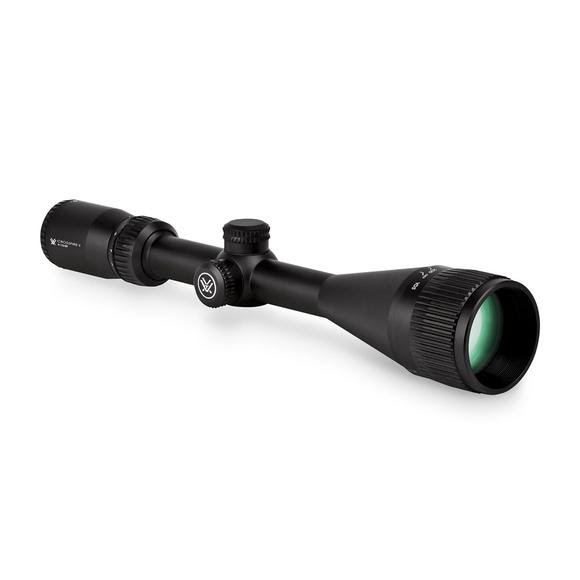 Vortex &apos;s popular Crossfire rifle scopes have been redesigned to exceed performance standards in their price range! Longer eye relief, a fast-focus eyepiece, fully multi-coated lenses and improved, resettable MOA turrets ensure optimal performance in the field. The hard anodized one-piece aircraft-grade aluminum tube is nitrogen purged and o-ring sealed for a lifetime of waterproof and fogproof performance.